You can find tungsten at work whenever the heat's on. Because no other metal can compare with tungsten when it comes to heat resistance. Tungsten has the highest melting point of all metals and is therefore also suitable for very high-temperature applications. It is also characterized by a uniquely low coefficient of thermal expansion and a very high level of dimensional stability. Tungsten is practically indestructible. For example, we use this material to manufacture high-temperature furnace components, lamp components and components for use in the fields of medical and thin-film technology. Are you looking for truly excellent quality? Then you need us. We produce our tungsten products ourselves – from the metal powder right through to the finished product. As our input material, we use only the purest tungsten oxide. This ensures that you benefit from a very high level of material purity. Find out for yourself. We guarantee that our tungsten has a purity of 99.97 % (Metal purity without Mo). Outstanding creep resistance and high purity. Our tungsten is very popular for use in melting and solidification vessels in the field of sapphire crystal growth. Its high level of purity prevents any contamination of the sapphire crystal and its good creep resistance guarantees the product's dimensional stability. Even at extremely high temperatures, the results of the process remain stable. High purity and good electrical conductivity. With the lowest coefficient of thermal expansion of all metals and a high level of electrical conductivity, our tungsten is the perfect material for thin-film applications. Its high level of electrical conductivity and low diffusivity to neighboring layers mean that tungsten is an important component in thin-film transistors of the sort that are used in TFT-LCD screens. And, of course, we are also able to supply you with the coating material in the form of ultra-high purity sputtering targets. No other manufacturer is able to supply tungsten targets in larger dimensions. Long service life and an extremely high melting point. With their long service lives even at extremely high temperatures, our tungsten melting crucibles and mandrel shafts are able to withstand even quartz glass melts without difficulty. Thanks to the outstanding purity of our tungsten, we can reliably prevent any bubble formation or discoloration of the quartz melts. Pure tungsten - or maybe an alloy? 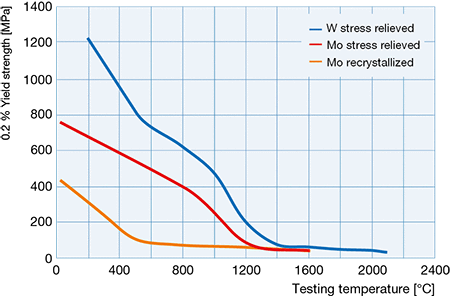 And there's more: By using our own customized manufacturing processes, we can modulate various other properties of tungsten across a wide range of values. 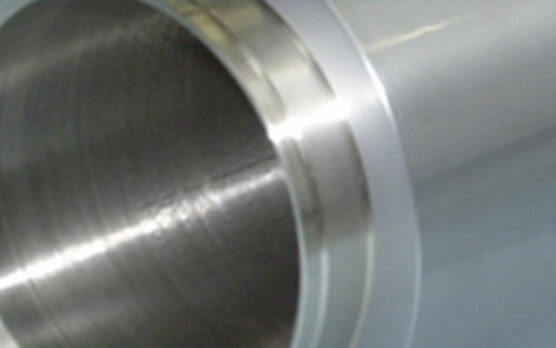 The result: Tungsten alloys with different ranges of properties which are precisely engineered to meet the requirements of each individual application. We dope tungsten with 60 to 65 ppm potassium and form the material to create wire products with an elongated stacked microstructure. This microstructure gives the material excellent high-temperature properties such as good creep resistance and dimensional stability. Special production steps can be used to make WK65 more load-resistant than WVM. WVM is pure tungsten doped with a tiny amount of potassium. We primarily supply our WVM in rod or wire form for use in evaporation coils or heating filaments. 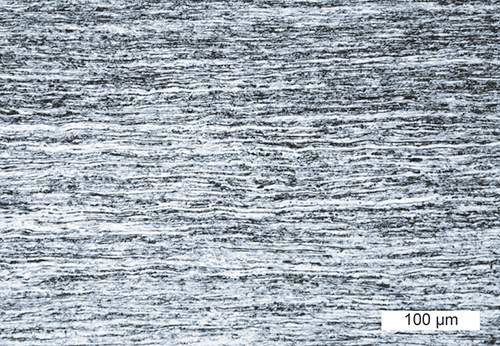 This doping, which also interacts with the highly orientation-dependent cold working, creates a stacked microstructure which results in increased dimensional stability at high temperatures. WVMW and S-WVMW were developed for use as anode materials for short-arc lamps of diameters greater than 15 mm. To produce both materials, we use pure tungsten doped with aluminum-potassium silicate. S-WVMW is particularly suitable for rod diameters greater than 30 mm. Thanks to the special production process we use to manufacture S-WVMW, we are able to achieve high densities in the rod core. Who needs thorium if they have WC20? WC20 is our non-radioactive material variant and the best possible alternative to WT20. It is used as a material for welding electrodes. We dope tungsten with two percent cerium oxide by weight to obtain a material with a lower electron work function, better ignition characteristics and a longer service life than pure tungsten. We dope our tungsten with between 1.0 and 2.0 percent of lanthanum oxide (La2O3) by weight in order to improve its creep resistance and increase the recrystallization temperature. Our WL is also easier to machine due to the finely distributed oxide particles in its structure. The electron work function of tungsten-lanthanum oxide is significantly lower than that of pure tungsten. Consequently, WL is a popular choice for ion sources, lamp electrodes and welding electrodes. This special WL was specifically developed for use in the stems (support rods) of high-pressure discharge lamps. We use a special production process to create a more fine-grained microstructure than is found in standard quality tungsten-lanthanum oxide. Thanks to this special microstructure, the breaking strength of the material is higher than that of standard quality WL and WVM even following exposure to high thermal loads. 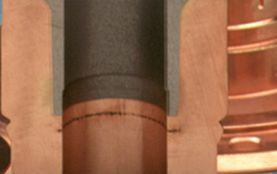 WL-S is therefore the perfect material for support rods which have to maintain the anode and cathode in precisely the same position throughout the entire lifetime of a high-pressure discharge lamp. We dope tungsten with lanthanum oxide and zirconium oxide to obtain high creep resistance coupled with a low electron work function. WLZ is an excellent material for cathodes used in high-load environments. WLZ has very good ignition properties and remains stable even at extremely high temperature ranges. 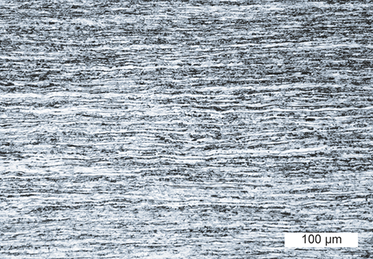 To obtain greater ductility and a lower brittle-to-ductile transition temperature, we alloy our tungsten with rhenium. Moreover, tungsten-rhenium has a higher recrystallization temperature and better creep resistance. We use the WRe standard compositions – WRe5 and WRe26 – as material for thermoelements in applications of over 2 000 °C. This material is also used in the aviation and aerospace industries. WCu composites consist of a porous tungsten matrix infiltrated with approximately 10 - 40 percent by weight of copper. We mostly use our WCu for the construction of high-voltage circuit breakers (marketed under the name Elmet®) and for erosion electrodes (marketed under the name Sparkal®). Our WCu composites are also used as base plates and heat spreaders in radar technology, opto electronics and high frequency electronics. Tungsten-Copper is very resistant to arc erosion, exhibits good electrical conductivity, a high level of thermal conductivity and low thermal expansion. A good all-rounder. Material properties of tungsten. Tungsten belongs to the group of refractory metals. Refractory metals are metals that have a higher melting point than platinum (1 772 °C). In refractory metals, the energy binding the individual atoms together is particularly high. Refractory metals have a high melting point coupled with a low vapor pressure, high modulus of elasticity and good thermal stability. Refractory metals are also typically characterized by a low coefficient of thermal expansion and relatively high density. Tungsten has the highest melting point of all metals as well as a remarkably high modulus of elasticity. In general, its properties are similar to those of molybdenum. The two metals are located in the same group in the periodic table. However, some of the properties of tungsten are more pronounced than they are in molybdenum. We are able to influence the properties of our tungsten and its alloys by varying the type and quantity of alloy elements that we add as well as by the production process we employ. We primarily use doped tungsten materials. For example, to produce WVM and WK65 we add small quantities of potassium. Potassium has a positive effect on the mechanical properties, in particular at high temperatures. The additives CeO2 and La2O3 ensure a low electron work function and consequently make tungsten suitable for use as cathode material. WRe and WCu, as well as our heavy metal variants, have a higher alloy content which may reach as much as 40 %. They are therefore known as tungsten alloys. We add rhenium in order to increase the ductility of our tungsten. Copper increases the material's electrical conductivity. Thanks to their ease of machinability, you can also use our heavy metal alloys for complex geometries. They can be used, for example, as shielding material or as damping and absorption components. Tungsten has the highest melting point of all the refractory metals, a low coefficient of thermal expansion and a relatively high density. Tungsten's good electrical conductivity and excellent thermal conductivity are further valuable properties. The values of all these properties are higher for tungsten than they are in the case of molybdenum. Although it is in the same group in the periodic table, tungsten is located a period lower than molybdenum. 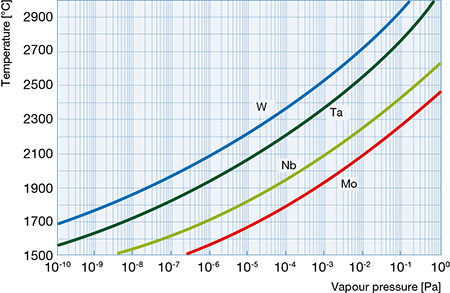 The graphic summarizes the temperature-dependent values of emissivityof tungsten (shown as blue scatter band). 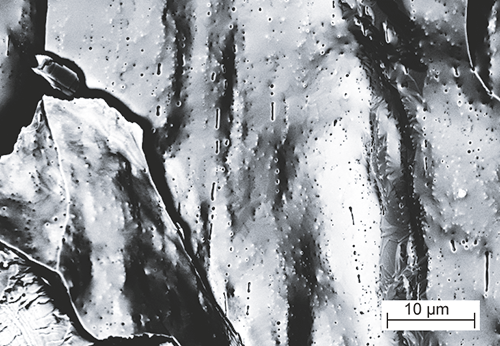 Experimentally measured values of Plansee samples in typical as-delivered condition can be found on the upper end of the scatter band. We optimize the purity of the material, determine the type and quantity of alloy components and modify the microstructure of our tungsten through heat treatment (annealing) and specially adapted forming processes. The result: customized mechanical properties for the most diverse applications. The mechanical properties of tungsten are similar to those of molybdenum. 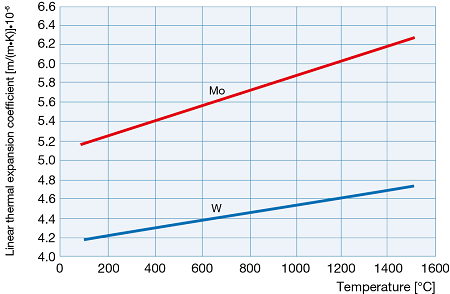 As in the case of molybdenum, these properties are dependent on the temperature at which they are tested. At 3 420 °C, tungsten has the highest melting point of all metals. The material's high thermal stability coupled with its high modulus of elasticity give tungsten its high creep resistance. 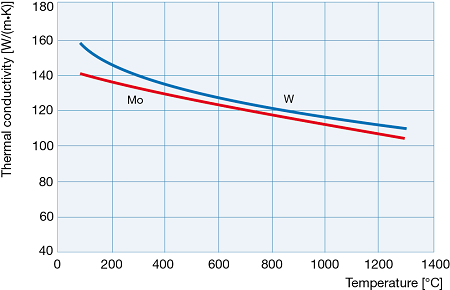 Modulus of elasticity of tungsten plotted against the testing temperature compared to our other refractory metals. Like molybdenum, tungsten has a body-centered cubic lattice and therefore the same characteristic brittle-to-ductile transition. 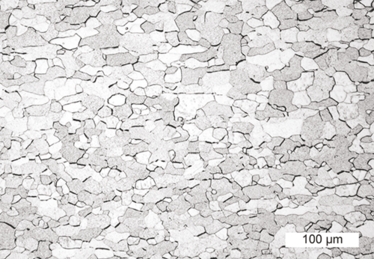 The brittle-to-ductile transition temperature can be reduced by means of cold working and alloying. The strength of the material increases with increasing cold working. However, unlike other metals, this also increases the ductility of tungsten. The main alloy element used to improve the overall ductility of tungsten is rhenium. The term "doping" come from the Latin "dotare" and means "provide with". In the world of metallurgy, doping refers to the introduction of one or more alloy elements in levels measured in ppm. The term "microalloying" is also often used. The alloy content introduced during doping may reach several hundred ppm. 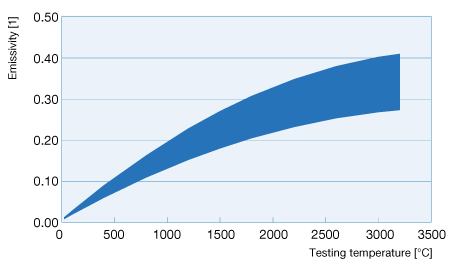 The abbreviation ppm stands for "parts per million", i.e. 10-6. If you are intending to use tungsten at high temperatures, you should take account of the material's recrystallization temperature. The mechanical properties of the material – such as its ductility and fracture toughness – decrease as the level of recrystallization rises. Doping with small oxide particles (e.g. lanthanum oxide or cerium oxide) increases the recrystallization level and creep resistance of tungsten. And there's more. Reducing the size of the oxide particles by cold working the material further increases its recrystallization temperature. 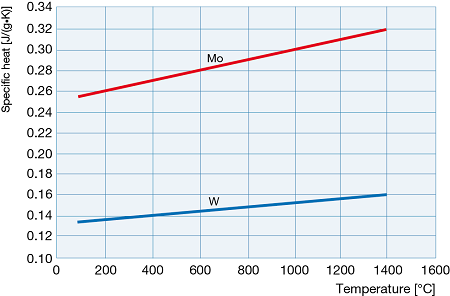 The table indicates the recrystallization temperatures of our tungsten-based materials at different levels of deformation. The machining of tungsten requires a real feeling for the material. Forming processes such as bending or folding must generally be applied at above the brittle-to-ductile transition temperature. 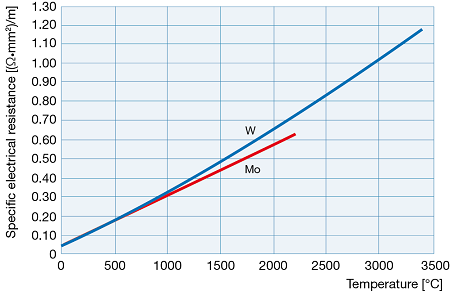 In the case of tungsten, this temperature is higher than for molybdenum. The thicker the sheets that are to be processed, the higher the required preheating temperature. The sheets need a higher preheating temperature for cutting and punching than for folding operations. It is very difficult to use machining processes with tungsten. Our tungsten alloys using cerium oxide or lanthanum oxide are somewhat easier to cut. However, the level of tool wear is still very considerable and chipping may occur. If you have any special questions relating to the forming and machining of refractory metals, we would be glad to assist you with our many years of experience. At relative humidity of under 60 %, tungsten is corrosion-resistant. In moister air, discoloration starts to occur. However, this is less pronounced than in molybdenum. 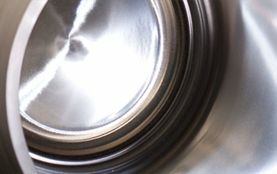 Even at very high temperatures, glass melts, hydrogen, nitrogen, noble gases, metallic melts and oxide ceramic melts are largely unaggressive to tungsten provided that they do not also contain oxidants. 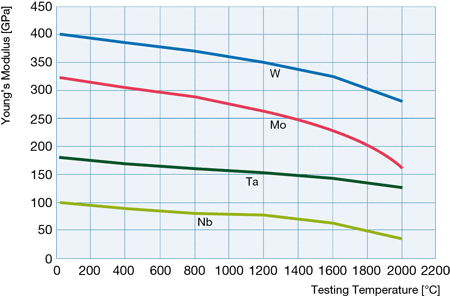 The table below indicates the corrosion resistance of tungsten. Unless indicated to the contrary, the specifications relate to pure solutions not mixed with air or nitrogen. Tiny concentrations of extraneous chemically active substances can significantly affect the corrosion resistance. Do you have any questions regarding complex corrosion-related topics? We would be delighted to help you with our experience and our in-house corrosion laboratory. In particular, tungsten is more resistant than molybdenum to zinc and tin melts. Tungsten was first found in the Ore Mountains of Central Europe in the Middle Ages during the process of tin reduction. However, at that time it was considered to be an unwanted accompanying element. The tungsten ore facilitated slag formation during the reduction of tin and consequently impaired the yield. The German name for tungsten (Wolfram = "wolf's drool") comes from it's reputation as a tin-devouring ore "It consumes tin as a wolf eats sheep". In 1752, the chemist Axel Fredrik Cronstedt discovered a heavy metal which he named "Tung Sten", Swedish for "heavy stone". It was not until 30 years later that Carl Wilhelm Scheele succeeded in producing tungstic acid from the ore. And just two years after that, Scheele's two assistants, the brothers Juan Jose and Fausto de Elhuyar, reduced tungsten trioxide to produce tungsten. Nowadays, these two brothers are considered to be the true discoverers of tungsten. The name "Wolframium" and the accompanying symbol W were proposed by Jöns Jakob Berzelius. Tungsten ore occurs most frequently naturally in the form of wolframite ((Fe/Mn)WO4) and scheelite (CaWO4). The largest deposits of tungsten are found in China, Russia and the USA. In Austria, there is also a scheelite deposit in Mittersill in the Felbertauern district. Depending on the deposit, these tungsten ores have a WO3 content of between 0.3 and 2.5 percentage by weight. Comminution, grinding, flotation and roasting processes can be employed to increase the WO3 content to approximately 60 %. The remaining impurities are mostly eliminated by means of digestion with sodium hydroxide. The sodium tungstate that is obtained is transformed into APT (ammonium paratungstate) using a so-called ion exchange extraction process. Our sister company GTP specializes in the preparation, extraction and reduction of APT. 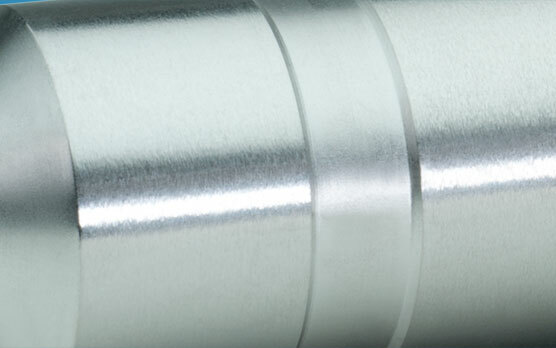 GTP supplies us with exceptionally pure metallic tungsten of a uniformly high quality.